Learning Substance Designer. Material based on algorithmic tutorial, other textures made just exploring Designer! 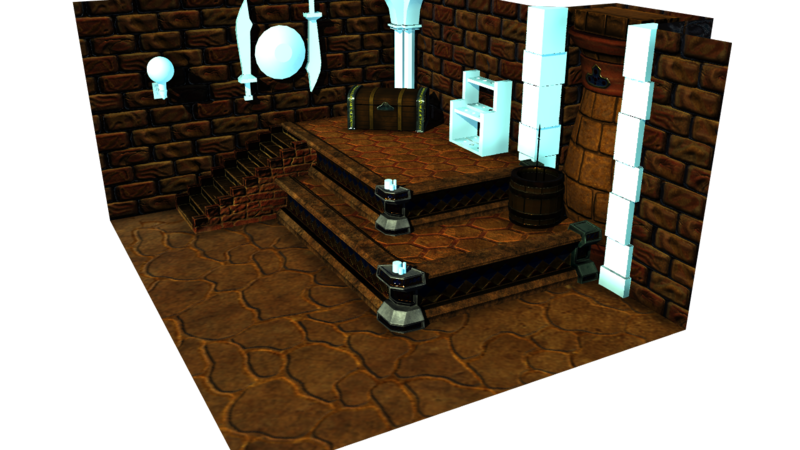 Update on Armory/ Treasure Room. I wanted to get my most recent work up before East Coast Games Conference 2107. The top three are screenshots from Unreal Engine. 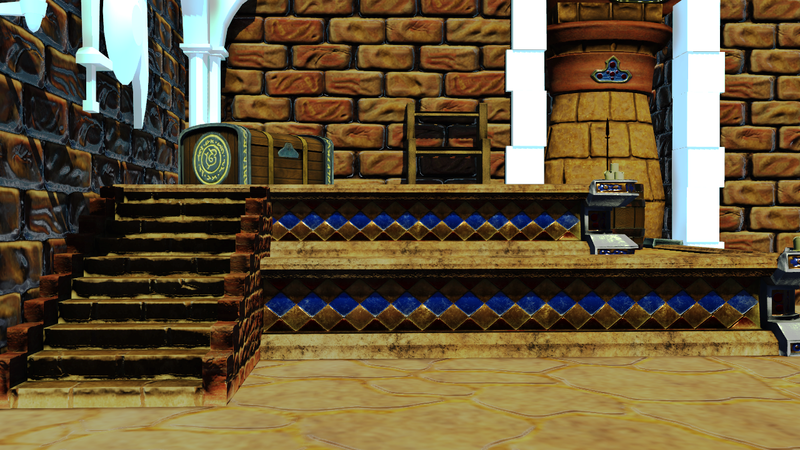 The Bottom 3 are from Maya rendered with the hardware renderer and stingray PBS shaders. Only takes a few seconds with all 2k maps on finished objects. Not to bad, still tweaking lighting in both to get some better stills. Only have a handful of things to finish before the set is done! updates for my treasure room project. I’ve gotten all of the base meshes done and just have to finish all the high poly meshes and texture them. 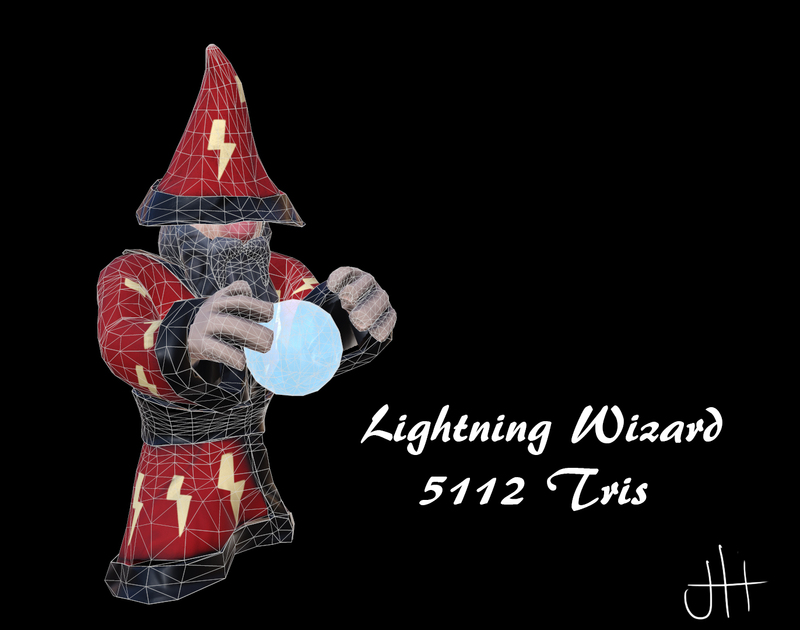 The top three images are rendered out of Maya’s hardware renderer with stingray pbs shaders. 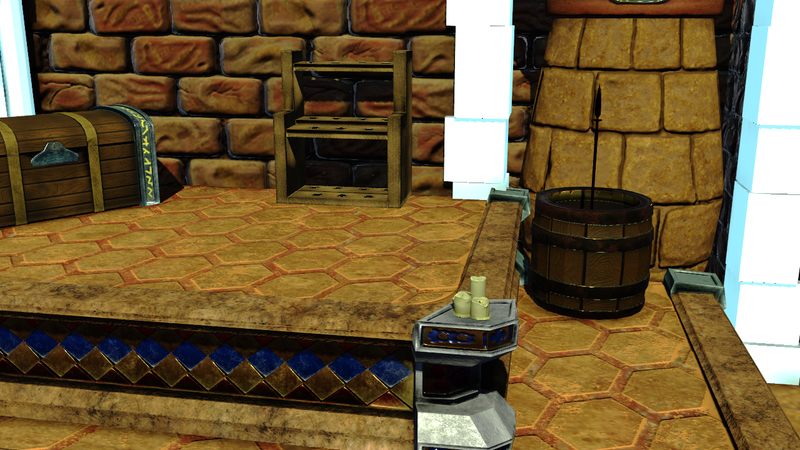 It was the most streamlined way I’ve found to demo PBR texture maps in Maya. The bottom is a screenshot from unreal engine. It works okay but the reflections and shadows need work. We’ll see if it will be useful for the final demo. Still working on the lighting in UE4 but I figured I’d get the models finished first, hence the demos from Maya (I already know Maya pretty well). Not to much left on this project. Hopefully I can get a good final pass-through with Maya using either hardware renderer or the new Arnold renderer, although I have to find a shader that supports the PBR maps and is readable by Arnold. But it will render in UE4 no problem. 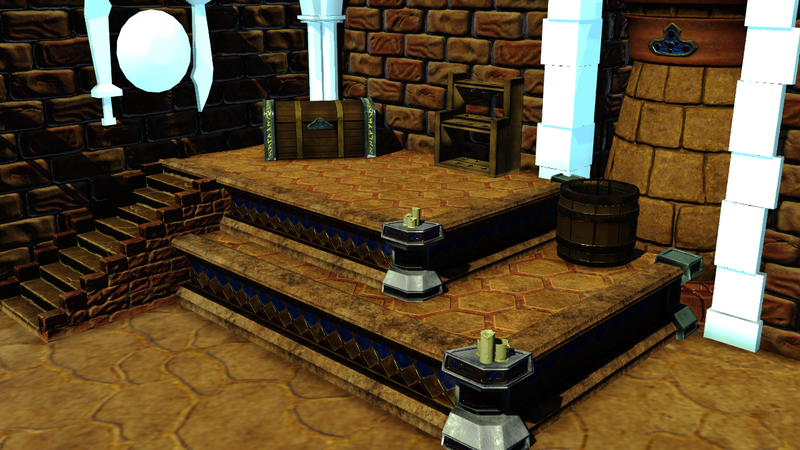 Working on creating a treasure room scene, using maya and zbrush to improve modeling skills. 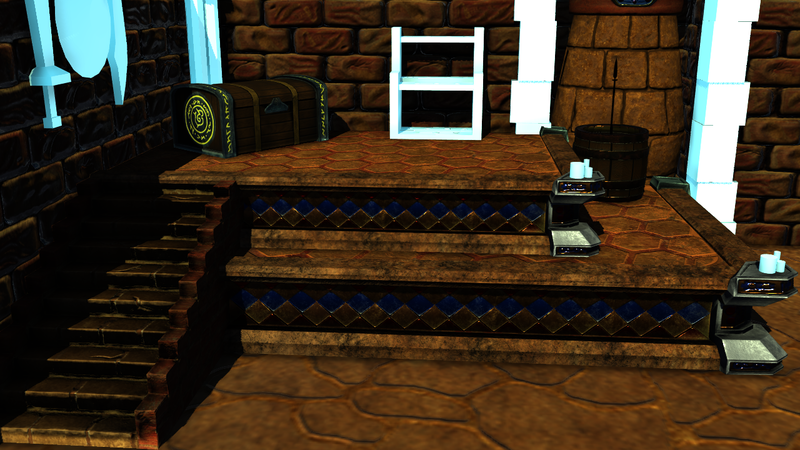 Texturing done with photoshop, xnormal, and substance painter. 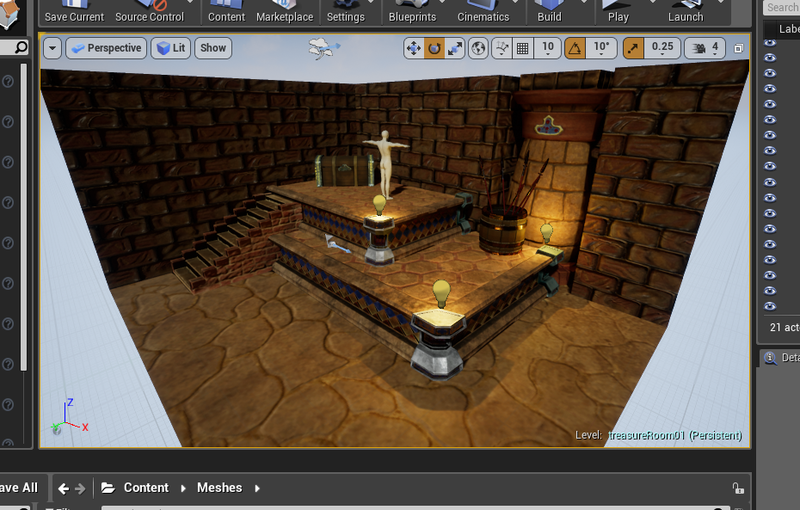 Using Unreal engine for rendering. 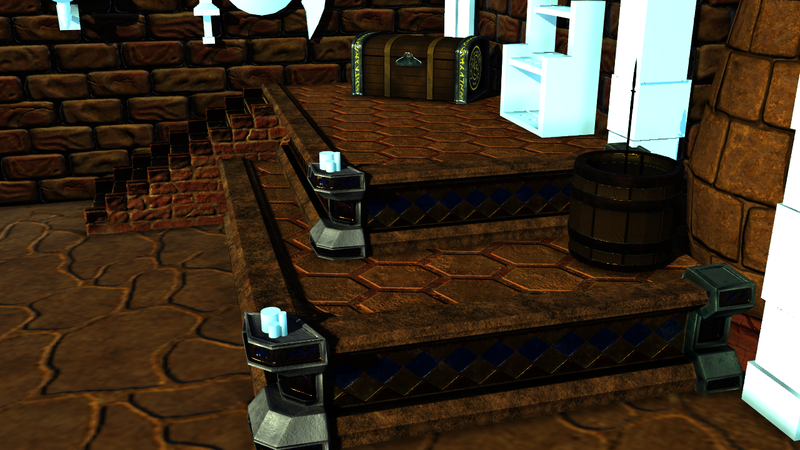 I’ve never used unreal before but its pretty straighforward as far as building the scenes. I haven’t had time to learn the lighting set up yet but there will be some better still shots when I have it figured out. One is finished and up on my portfolio and artstation, the other will be done this weekend when I’m off work. Definitely some of my best work and a great way to start my artstation portfolio. Hopefully. A little late this week, I got a quick side project distracting me from my knight character but im still working on it. 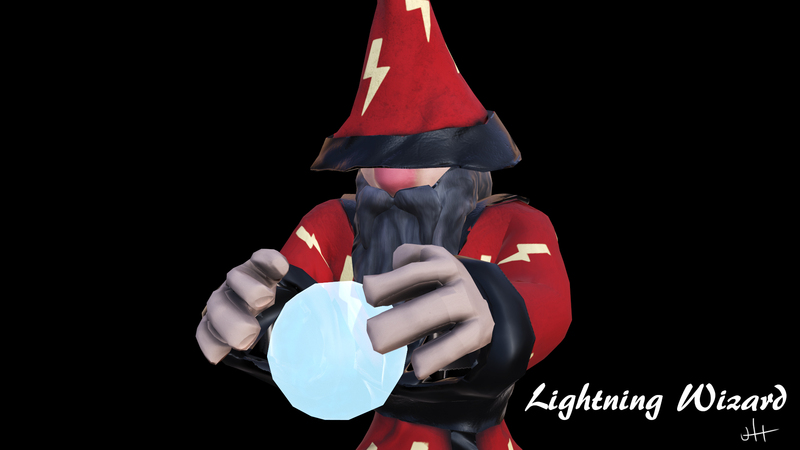 I made this lo-poly wizard to demonstrate I could make a stylized character with a small poly budget. Start to finish it took me two days. One day to sculpt and build the low poly. One day for the uv layout, texture, rig and pose. I used zbrush, maya, substance painter, photoshop and marmoset toolbag. Im going to create three more textures this week and optimize the uv layout a bit more and sell them as a pack on unity asset store and cgtrader. Links will be posted. Jonathan Hickson Blog at WordPress.com.